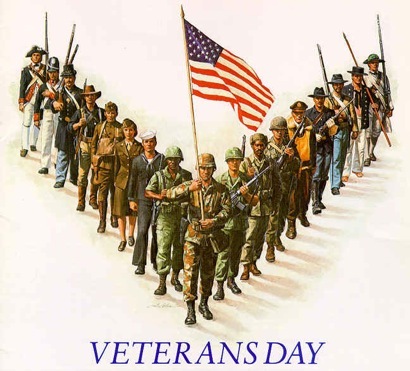 The meaning of Veteran’s Day is one of great importance to reflect upon in honoring those who served and sacrificed. These worthy men and women gave their best when they were called upon to guard, uphold, and protect this great nation. It is a day we set aside to celebrate the liberty this country enjoys, a precious commodity that was born through their valiant service and sacrifices. They answered the battle cry and stood in the line of duty, at home and abroad, to protect and preserve our freedoms, our safety, and our country’s heritage. It is because of their vigilance this country became and remains the land of the free and the home of the brave. We respect th em, we thank them, and we honor them, and forever hold great pride for their service, regardless of their length of time in uniform. We, as a people, need a vision that longs for peace, who prays for peace, and who seeks to be peacemakers in this world. Let us always be vigilant in that cause, and that our country’s sovereignty is eternally dependent on those who are serving now, and those who will serve in the future. Let us, as a people, embrace and live the values and principles that our military stands guard for every day, and show thankfulness every day for their protection over our rights and freedoms to choose.